Retro styling and simple design make Big Chief unique. 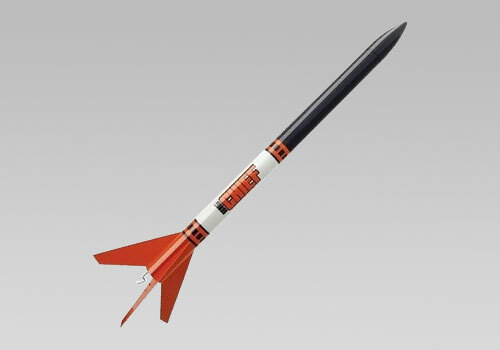 Easy to apply self-adhesive decals make this rocket look sharp. Includes pre-colored parts like injection-molded nose cone, plastic fins and body tubes. Comes with a quick-release engine mount and 12" parachute. Excellent flights to 750 feet.